100% payment should be pay after the confirmation of appointment. Package above maximum for 6 person only, if have more than 6 person, kindly contact first. 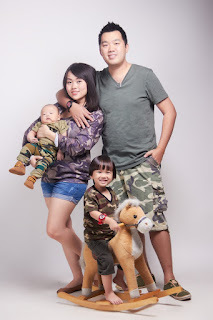 30-60 mins photography session are only apply for studio session. Clients are advised to make up first before come to studio, to avoid any delay for the appointment after. If clients are not show up within 30 mins, LOVE MOMENT PHOTOGRPAHY reserve the rights to cancel or reschedule the appointment, reschedule fee of RM30/times will apply. Appointment slots available on 12pm, 2pm & 4pm from Tuesday to Sunday, exclude public holiday. Photos will ready to select online after 2 weeks, and ready to collect after 4-5 weeks after the confirmation of photos selection. LOVE MOMENT PHOTOGRAPHY reserve the copyrights of the photos, and we have the rights to use your photos for social media marketing & sharing, including Facebook, Instagram & website. Offer valid till 10 June 2019.